The task - to confirm Russian claims of temperatures of 10,000,000 degrees in the Russian Tokamak device, a prototype of the Nuclear Fusion Reactor of the future. The unique true story of a young scientist's part in pioneering work with lasers that led to dramatic cutting edge scientific research by a British team in Moscow, at the height of the "cold war". 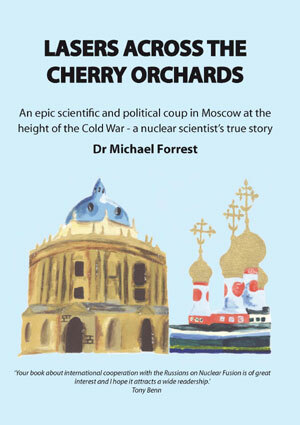 From Harwell, next to the famous cherry orchards, to Laboratory Number Two in Moscow, the home of Soviet nuclear weapon's development, this book describes a career enlivened by meetings with clandestine contacts and famous people. Experiences in the Army and Government Communication Headquarters, Cheltenham, and the shadowy presence of the K.G.B. contribute to an eclectic mix. We only deal in summary justice - too vicious to be described as poetic. Mark Costerman - Costa Man - is part of a shadow government organisation known as G6. They specialise in justice, of the extreme kind. Along with his right hand man, Tony Newcombe, and a cast of I.T. specialists, drivers, decoys, judges and more, Costa Man removes some of the more undesirable members of society. This collection of short stories is the first in a series of novels from Mike Forrest who has turned from writing about the early days of fusion technology (Lasers Across the Cherry Orchards) to spy fiction. His stories develop from his musings while sitting, sipping and people-watching in coffee shops. 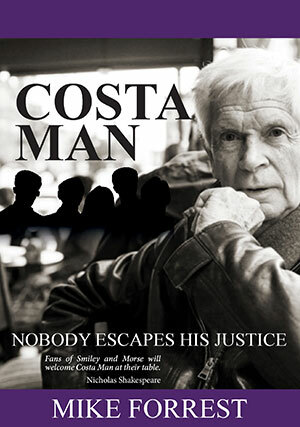 Costa Man is entirely fictional .... probably.